Petasites hybridius (Curly Q) This is one of the plant groups I may regret loving so much. The petasites in general spread quickly by underground rhizomes. They are used in china as a herb and treatment for main ailments. 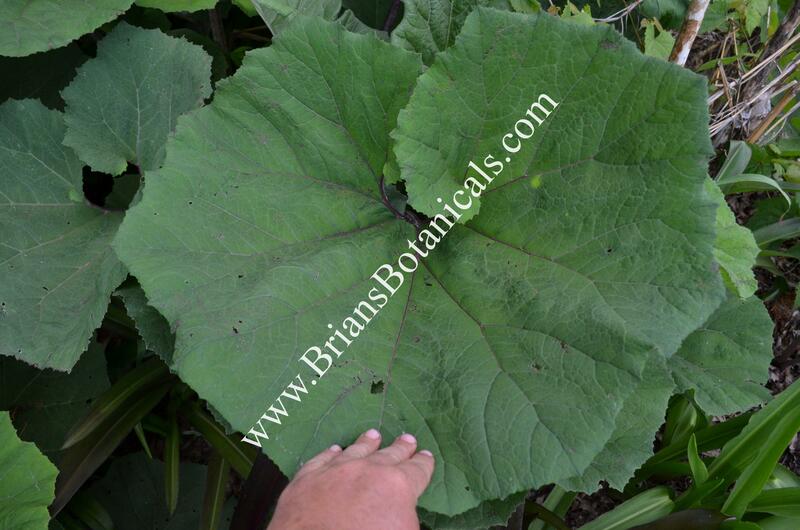 For me I love the giant huge leaves that look prehistoric in the garden. I got this form from Ken Diets years ago. I had grown the common Petasites hybridius but noticed his seemed different his was slightly larger and the back lobes of his plants curled over each other while the regular form had a large wide split between the lobes. I now have a nice large patch growing and have started to propagate some to sell. I recommend a part shade to full shaded area with moist to wet soil if possible. I would suggest a ditch or area you don’t mind for the plant to spread and over take.